Great value collection of three classic British thrillers spanning four decades. In The Woman in Question (1950,) the investigation of a woman's death is made more difficult by the fact that everyone who is questioned speaks of the victim in wildly differing ways. 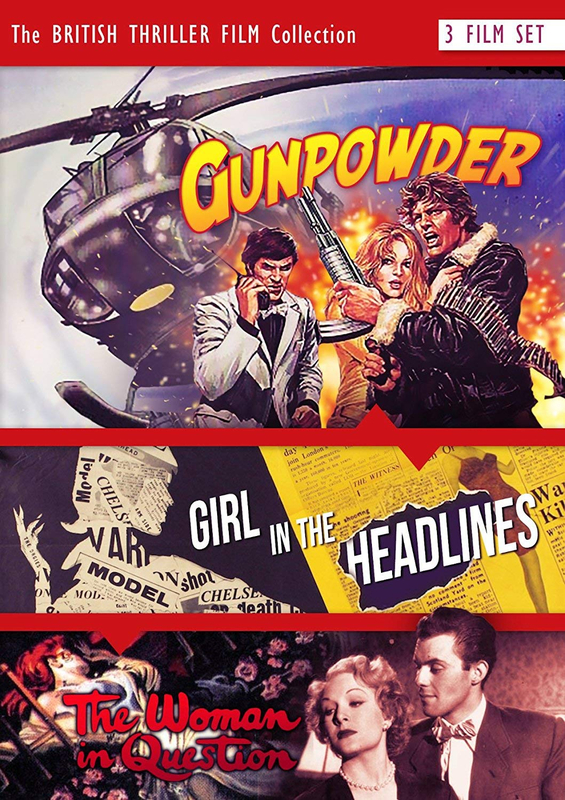 Girl in the Headlines (1963) sees a beautiful young woman murdered. When the inspector assigned to the case then starts to make inquiries of the deceased's celebrity friends, he soon encounters a suspicious level of resistance. Finally, in Gunpowder (1986), a mysterious organisation plots to throw the world economy into chaos by flooding it with their own gold blocks. In response, Interpol assigns a partnership of the rough and ready Gunn (David Gilliam) and the calm Powder (Martin Potter) to follow the organisation's trail and put an end to their plans.